We do a family theme each year for Halloween. 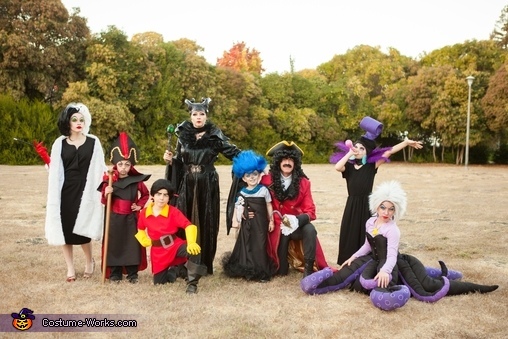 This year we did Disney Villains (Cruella de Vil, Jafar, Gaston, Maleficent, Hades, Captain Hook, Yzma, & Ursula). I made most of the costumes & added wigs. It was a really fun theme.